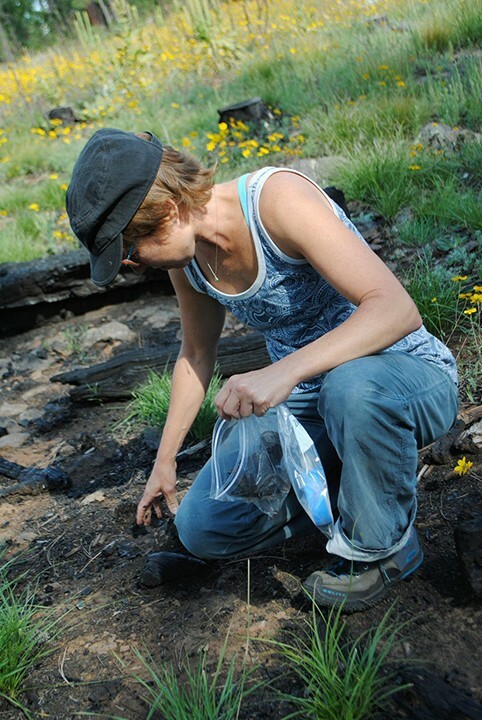 Gathering charcoal from the site of the 2014 Slide Fire in Oak Creek Canyon south of Flagstaff, for the Fires of Change project. I plan to use the charcoal collected from each of twelve significant recent Arizona wildfires to create small-scale drawings of the fires, working from archived photographs. The collected charcoal samples will be displayed with the series of drawings.